VacuLayer Corp. offers custom thin film coating services for a variety of applications including optics, semiconductors, displays, acoustics, industrial, scientific, research & development, prototyping, etc. 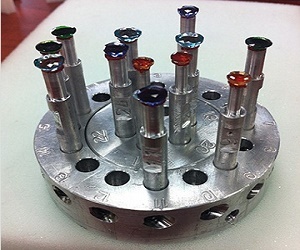 We have extensive experience in designing, developing and producing vacuum deposited coatings for the UV, VIS, NIR, SWIR, MWIR, and LWIR spectral wavelengths. 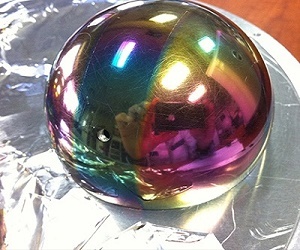 These include: anti-reflection coatings, co-deposited coatings, diamond-like-carbon DLC coatings, filter coatings, high-reflection dielectric coatings, metal mirror coatings, neutral density filters and transparent conductive ITO coatings. Our customer-focused dedication leads to responsive, reliable, competitive, and personalized service for you. Please contact us to find out how VacuLayer may be able to serve your vacuum coating requirements. 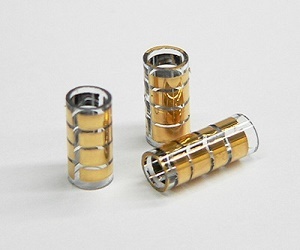 E-mail: info@vaculayer.com, Tel: +1-416-835-0415. Most of our dielectric coatings, DLC coatings, and metal mirror coatings can be removed without having to repolish expensive substrates.